Arizona passed the nation's toughest bill on illegal immigration, SB 1070, April 23, 2010. This bill aims to identify, prosecute, and deport illegal immigrants. SB1070 also cracks down on people found to be sheltering, housing, or transporting illegal immigrants. Under this bill, state officials and agencies are required to enforce federal immigration laws and county attorneys will have subpoena power in certain investigations of employers. SB1070 has received national and international attention and has generated significant controversy. Proponents of the bill say it simply enforces existing federal laws and that Arizona had to take illegal immigration into its own hands due to the lack of federal attention on the issue. Opponents of the bill say it encourages racial profiling and violates the Fourth Amendment, which guards against unreasonable searches and seizures. 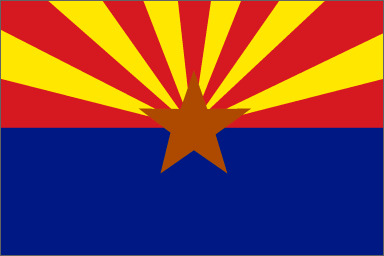 On April 30, 2010, Arizona Governor Jan Brewer signed into law HB 2162. This bill modifies some of the controversial language in SB 1070, making it "crystal clear and undeniable that racial profiling is illegal." Congressman Poe Continues Support for Arizona by Norman Adams - Congressman Ted Poe discusses his contined support for Arizona SB1070. States Reduce Incentives For Illegals By Eliminating Worker Misclassification - Many misclassified workers are illegals. Now states are taking a stand. Is this the next big trend in reducing incentives for illegals? Conservative Republican Versus Liberal Perspective on Immigration- Adryana Boyne debates Democrat Domingo Garcia on issues regarding immigration, including Arizona SB 1070. I am not the federal government. I will not ignore the immigration issue by Danielle Chavez - ‎"The federal government suing Arizona is possibly one of the most irrational things that has happened under the Obama administration thus far (and we sure have a lot of things to choose from…)." LatinoTalk participates in Conservatives for Comprehensive Immigration Reform news conference by Lauro Garza - Rev. González explained that is was clear that FAIR was the root source of the opposition and that they actually wrote Arizona’s controversial SB 1070. Another Arrow in the Quiver by Bob Price - High Resolution RADAR and cameras are being combined in SW Arizona at the Barry Goldwater Gunnery Range to create a virtual wall that has effectively closed a 35 mile section of the Arizona border. Immigration Riots and Border Burdens by Danielle Chavez - Neither side of the debate over SB 1070 has been listening to the other. Riots and out-of-control protests are never going to solve anything. LatinoTalk shows the link between Arizona SB 1070, FAIR and John Tanton from the culture of death by Lauro Garza - LatinoTalk continues its expose' of the forces behind the anti-immigration agenda in America and Arizona. Cornyn Statement On Mexico President Calderon’s Address To Congress by John Cornyn - It was inappropriate for President Calderon to lecture Americans on our own state and federal laws. Arizona’s immigration law has been amended to make clear it does not authorize racial profiling by law enforcement. The Super Bowl of Illegal Immigration: We demolished the Democrats on Worldwide Live Television by Artemio Muniz - Read about how the Republicans were able to bring their side of the story to a national debate on Arizona SB1070. Also, view a video clip of the debate. TexasGOPVote Blogger Adryana Boyne In Prime-Time Arizona SB1070 Immigration Debate - Adryana Boyne appears on Univision to support SB1070 in a national debate. Conservative Latino Talk Radio finishes up with the Arizona mess and discusses terrorism by Lauro Garza - Lauro discusses the latest poll on immigration reform. Perspective and Realism on The Border and Arizona by Larry Perrault - Larry discusses his mixed views over Arizona SB1070 and also discusses the views of other conservative thinkers, George Will and Linda Chavez. Is SB 1070 really THAT big of a deal? by Fernando Trevino - Fernando explains why he both approves and disapproves of SB1070. Arizona has capitulated and I am vindicated! by Lauro Garza - Arizona Governor Jan Brewer signs into law, HB2162, which modifies SB1070. May Day Immigration Reform Protests - Protesters gather around the nation to rally and call Congress to enact on immigration reform and show anger toward Arizona SB 1070. Conservative Latino Talk Radio points out the lies and distortions behind Arizona's SB 1070 by Lauro Garza - Laura explains the unconstitutionality of SB 1070. “If you hang ‘em all, you get the guilty!" by Lauro Garza - Lauro discusses the 4th Amendment in detail and exactly why he feels SB1070 is in violation of it. Conservative Latino Talk radio discusses the fallout from Arizona's SB 1070 by Lauro Garza - Lauro discusses the meaning and significance of "probable cause" and the difference between it and "reasonable suspicion." Arizona Irresponsible? I don’t think so! by Norman Adams - Norman states that Americans, especially those in Arizona, deserve sensible immigration reform, and they need to demand it! I Can See Mexico From My House: Why I Support SB 1070 by Danielle Chavez - Read about SB1070 from the perspective of a Hispanic-Jewish-American, who lives on the Texas border and attends school in Arizona. Graciousness, Policy And The Arizona Immigration Controversy by Larry Perrault - Larry discusses the various perceptions of SB1070. Conservative Latino Talk radio explains how SB 1070 authorizes warrantless arrest, search and seizure in Arizona by Lauro Garza - Lauro explains that SB1070 sacrifices the 4th amendment proctecions in exchange for the perception of security. Conservative Latino Talk Radio continues excoriation of Arizona SB 1070 as it tramples the Bill of Rights! by Lauro Garza - The Cardinal of Los Angeles condemns the SB1070. Conservative Latino Talk Radio continues to address abandonment of constitutional principles in Arizona by Lauro Garza - John McCain comes out in support of SB1070, but laments the inevitable racial profiling he says it will cause. Thousands Rally in Favor of Arizona Immigration Law - Nearly 2,000 people from across the country gathered in Phoenix June 5 in support of Arizona SB1070. Deseret News: Utah lawmaker Stephen Sandstrom to draft immigration bill similar to Arizona's - Utah GOP Rep. Stephen Sandstrom told the Deseret News that he plans to draft a bill for the 2011 Utah legislative session that uses the Arizona law as a model. He claims his measure will build in protections against racial profiling. The Washington Times: Ohio lawman seeks to put Arizona-type initiative to vote - Butler County Sheriff Richard Jones has teamed up with Republican Rep. Courtney Combs to send a letter to Gov. Ted Strickland. It urges the governor to move a measure "that will mirror that of the illegal immigration legislation’’ passed in Arizona. Sheriff Jones is also promoting a “citizens initiative’’ for the Ohio ballot. Dispatch Politics: Strickland opposes immigration law - Ohio Gov. Strickland says he will veto any Arizona-like measure that reaches his desk. ABC News: Delegate Wants Immigration Fight in MD - Republican Delegate Pat McDonough of Baltimore wants Maryland to pass an Arizona-type bill and plans to survey every candidate running for governor and for the state General Assembly to see if they agree with him. Political Insider: Nathan Deal says he’d implement Arizona-style immigration laws - Republican congressman, Rep. Nathan Deal, who is running for governor in Georgia this year, issued a press release saying that if he wins, he will “work to pass and sign" legislation similar to Arizona's. Pittsburgh Post-Gazette: Legislators push PA immigration control bill - A group of lawmakers led by Republican Daryl Metcalfe and Democrat Harry Readshaw is promoting a bill that would require police officers to attempt to verify the immigration status of people suspected of being here illegally.